 Oyster Weddings boast elegant decor, decadently delicious food, perfectly mixed beverages and are unlike any other wedding. The possibilities are endless and we encourage you to tell us what your dream wedding is so that we can make it come true! We serve only the best cuisine, prepared by Celebrity Chef Shawn Jackson, and provide excellent table side restaurant service. We work side by side with each bride to customize every aspect of your wedding to ensure perfection. We also have a newly renovated outdoor Pool Cabana Area available for wedding ceremonies. 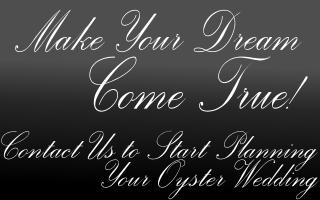 We encourage you to call and set up a personal consultation to begin planning your one of a kind Oyster Wedding today! We serve only the best cuisine, prepared by Celebrity Chef Shawn Jackson, and provide excellent table side restaurant service. We work side by side with each bride to customize every aspect of your wedding to ensure perfection. We also have a newly renovated outdoor Pool Cabana Area available for wedding ceremonies. We encourage you to contact us and set up a personal consultation to begin planning your one of a kind Oyster Wedding today!